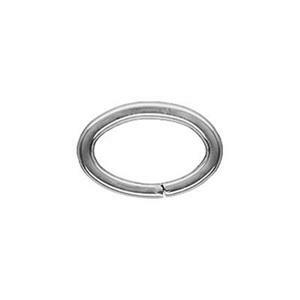 This jump ring works great for earrings and medium sized pendants. It has a nice clean look closes tight and the oval shape puts the seam at 90 degrees to the point of connection. These jump rings are a great size for use with clasps or as bails on pendants. Easy open/close.